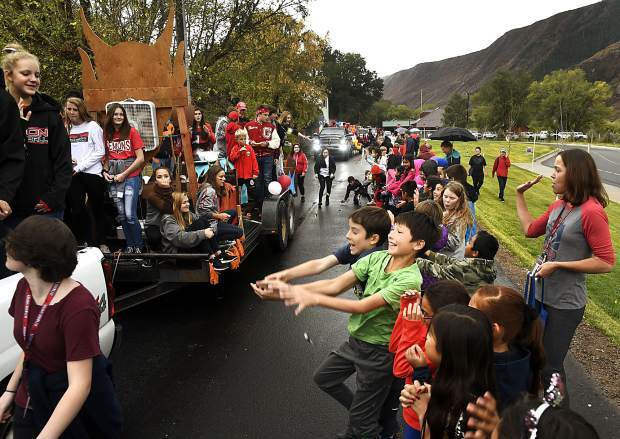 Glenwood Springs Elementary students battle for candy and to show their Demon pride as they line School Street for annual Homecoming parade Friday afternoon. 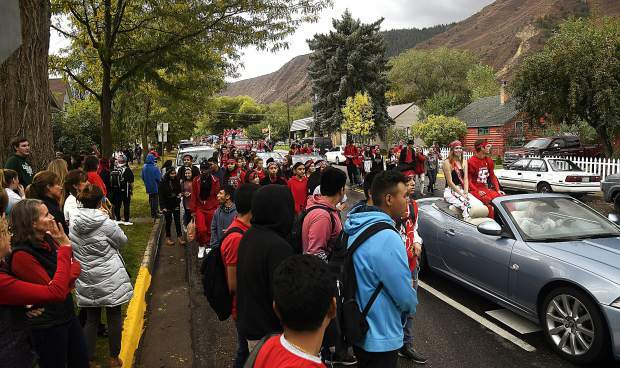 Glenwood Springs High School students make their way down Pitkin Avenue as the 2018 Homecoming parade begins Friday. 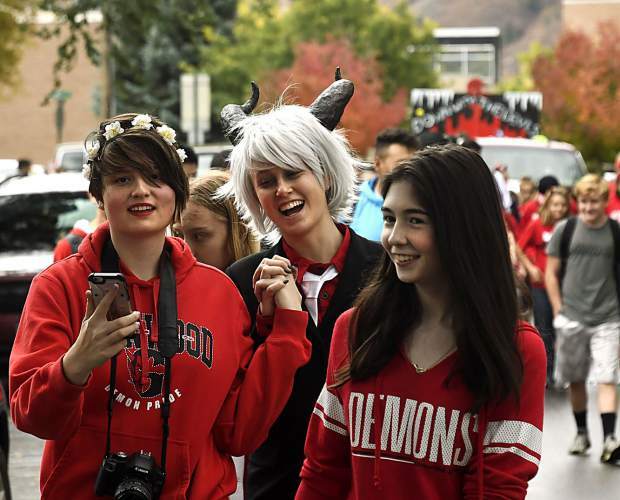 Glenwood Springs High School students make their way down Pitkin Avenue in front of a crowd of Demon supporters as they head for Glenwood Springs Elementary during Friday’s Homecoming parade. 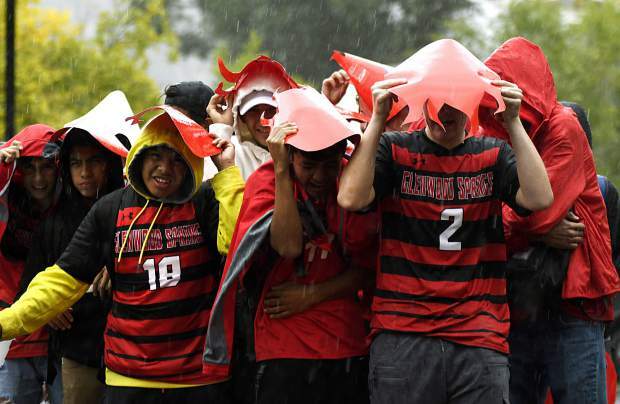 The Glenwood Springs High School boys soccer team takes cover under whatever they can find as an afternoon downpour drenches the parade route Friday. A Glenwood Springs High School band member gets caught in Friday afternoons sudden downpour that brought the homecoming parade to a quick end and thunder and lightning moved through the valley. 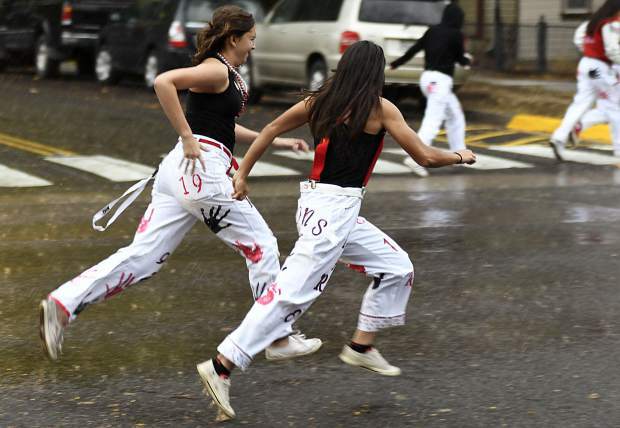 Glenwood High School students sprint down Pitkin Avenue on their way back to the school after a sudden downpour hit Glenwood Friday afternoon during the homecoming parade. 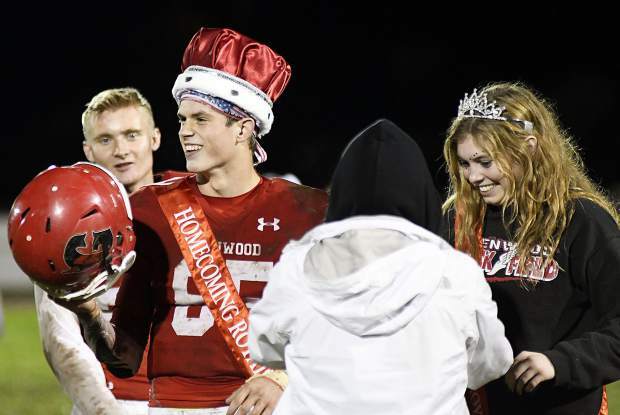 Wyatt Ewer and Sequoia Kellogg are all smles after being named homcoming king and queen during halftime Friday. 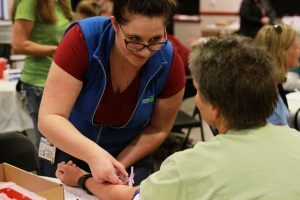 A little inclement weather didn’t stop students, fans and valley residents from enjoying homecoming festivities Friday in Glenwood Springs. Greeted with a brief moment of sunshine the parade made it’s way up Pitkin Avenue on its way to Glenwood Springs Elementary School as the storm rolled into the lower Roaring Fork Valley. An afternoon thunderstorm may have washed away the parade, but nothing could extinguish Glenwood’s school spirit. 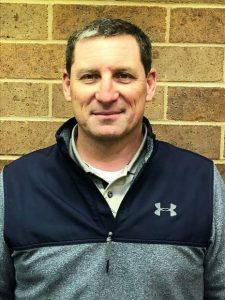 The Demons gridiron battle with Eagle Valley capped a week full of events filled with school pride.